Home » Digital News » Does Google care about its own tracking? 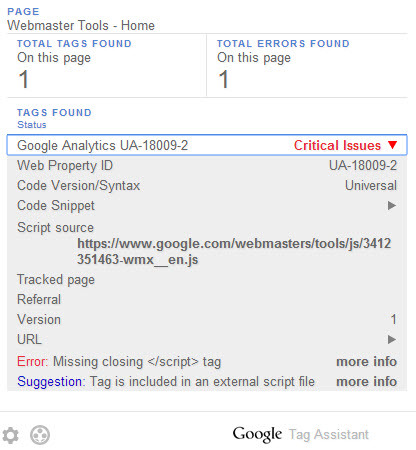 It’s funny to see that Google has got the Analytics implementation wrong, and they’re not bothering at fixing it. Not a big deal someone would say, who cares about gathering data on GWT? Might be true, surely Google isn’t new to this kind of errors in their platforms. They randomly have 404s in their FAQs for example, and you can’t even report it, which makes it even more frustrating. Oh well, even the big guys get it wrong, they’re human after all. Previous post link Google wants your website to be secure!